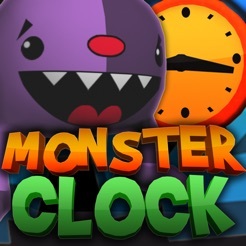 CRAZY MONSTER CLOCK is the only alarm clock you can knock out in the morning! 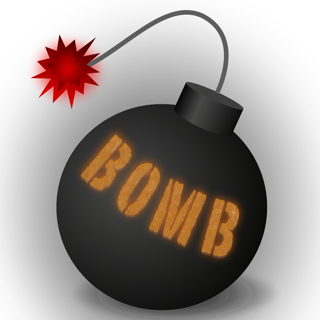 With this App you are getting up good-tempered instead of being annoyed by your alarm clock. No more boring alarm clocks! 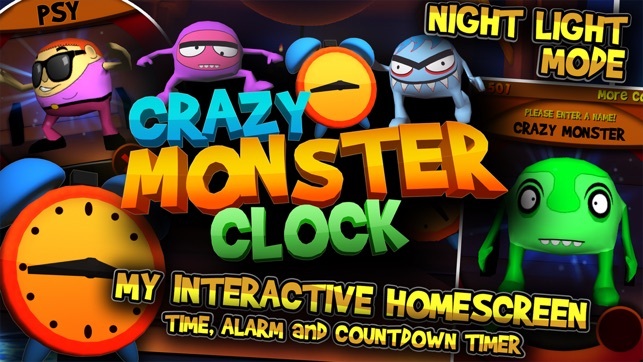 CRAZY MONSTER CLOCK offers you the latest generation of interactive homescreens. 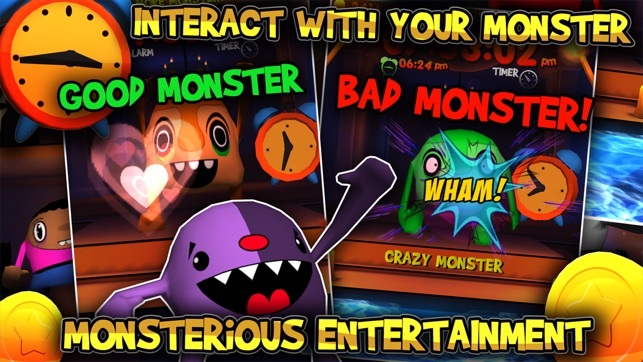 Choose your favourite monster and start playing: if you feel like cuddleing, pet it and the monster will love it! If you are angry, punch it- the monster will take it. 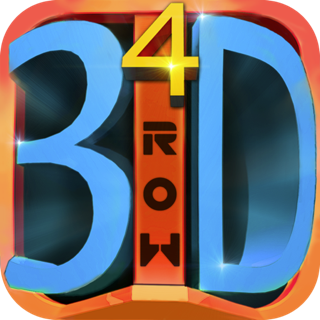 Every interaction raises your amount of coins and enables you to unlock even more monsters. Fear the darkness? 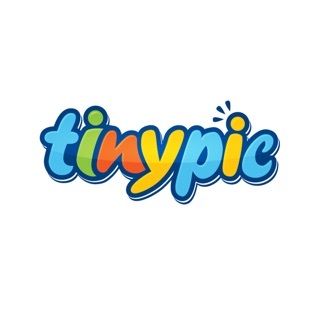 This App offers you a funny night light! 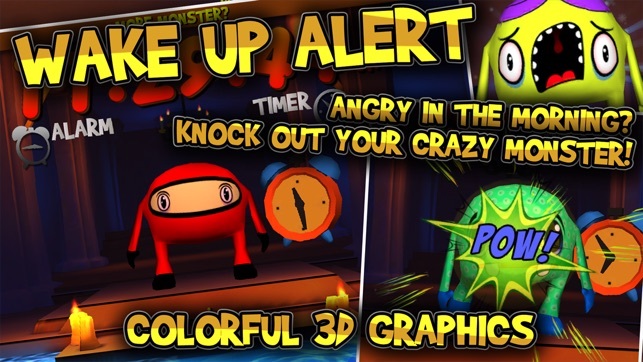 Your CRAZY MONSTER protects you during the night by lighting your room! When your CRAZY MONSTER wakes you up in the morning don't hesitate and take your frustration out on it directly: just knock it out! 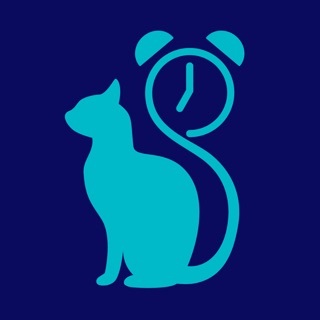 Your CRAZY MONSTER even helps you at home: its Countdown Timer reminds you of your duties. 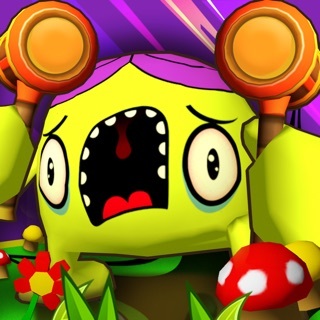 Want to have a new CRAZY MONSTER? 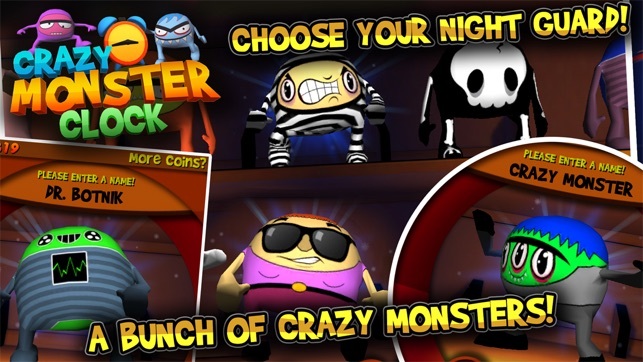 Just choose one out of more than 100 CRAZY MONSTERS available! 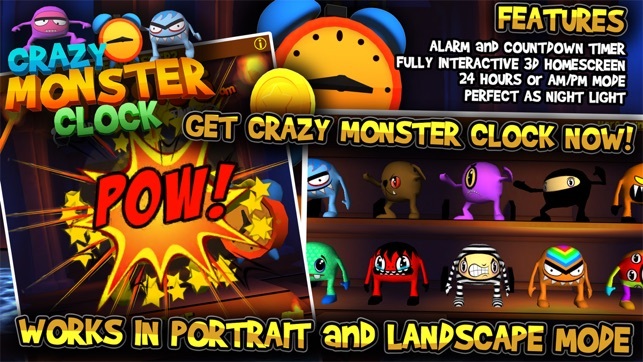 As long as CRAZY MONSTER CLOCK is on screen you earn more coins, which helps you to unlock even more monsters. Are you able to unlock all of them? The alarm will start ringing even if you decide to turn off the app after having the alarm set. 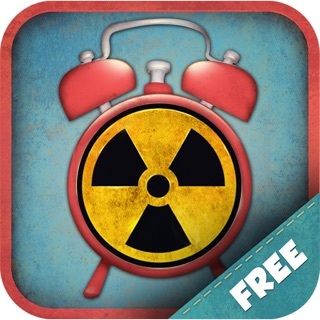 The only alarm clock App with virtual monsters. Before even getting to set an a alarm it closes w/o warning on IPAD 1 w/ latest ios. 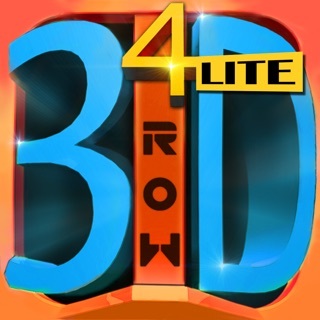 Looks REALLY cool and my son was excited to try but can't. Crashes on my iPad 1. Can't get past first two screens.